It’s likely most people who play video games know Nvidia. After all, these are the people behind the GeForce graphics cards which power a majority of gaming PCs out there, although rival AMD also has its share of the market thanks to its Vega graphics technology. But the truth is that almost 70 % of gaming PCs are running a Nvidia graphics card, making CEO Jensen Huang’s company a powerhouse in the tech arena. 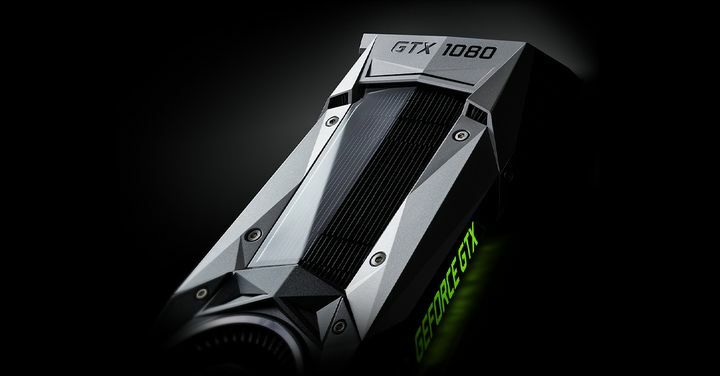 Aside from gaming, owners of Nvidia graphics cards have found another use for these over the years – Bitcoin mining. Actually, thanks to the Bitcoin craze Nvidia’s cards sold like hot cakes in 2017, leading to sharp price increases which made it difficult for gamers to get hold of a graphics card at a competitive price last year. Things have been very different for those involved in Bitcoin mining this year, though. This is because the price of the cryptocurrency (which was invented by Satoshi Nakamoto in 2009) has crashed in 2018, dropping by more than 75 % since the beginning of the year. This means Nvidia’s graphics cards are no longer in such demand, and this is what has led to the company crashing in the stock market this year as reported on CNBC. Actually, Nvidia’s shares reached a high of $280 US dollars in August, only to begin a precipitous drop which has taken the share price to $126 – a more than 50 % fall in four months. Also, wild speculation that the company would have an impact in the artificial intelligence market made its share price go higher due to the AI features the company had been building into its graphics processors. But maybe now those who invested in the company are realising that their faith in AI and expectations of Nvidia’s impact on the market may have been unrealistic, meaning things could get worse for Nvidia in the future too. As is often said though, there’s always a silver lining, and gamers who last year were struggling to find a graphics card at a good price may be able to do so in the near future. Actually, Nvidia’s CEO himself recently admitted that the declining activity in the crypto mining business had left the company with plenty of unsold cards. “The crypto hangover has left the industry with excess inventory – excess channel inventory”, said Nvidia’s CEO Jensen Huang at a recent company conference call. This means PC gamers might be able to grab a good bargain or two in the coming months, which is always good news. Also, don’t feel so sorry for Nvidia – the company is still valued at many billions more than in early 2016, while its rival AMD has also taken a serious tumble in the stock market this year. Plus, Nvidia also put out its new GeForce RTX cards earlier this year, meaning things can only get better for gamers despite the company’s recent stock market woes. Next: Should Ubisoft bring back Prince of Persia?